The emergency services yesterday continued their search for a missing pensioner on the Isle of Raasay after he was reported missing on Sunday afternoon near a disused mine. 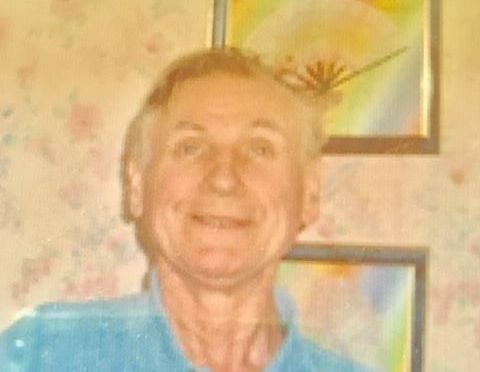 Alistair Lovie, who lives on the island and suffers from dementia, was last seen walking in the Inverarish area in the south end of the island around 11am on March 31. The alarm was raised regarding his disappearance shortly before 4pm with extensive searches launched to locate the missing man. Their efforts continued yesterday for the 72-year-old man, with coastguard search and rescue helicopter Rescue 948 launched in the early parts of yesterday morning, before being stood down and returning to base shortly before noon. Coast rescue teams from Stornoway, Bragar and Ness were chartered to the island by Stornoway lifeboat, joining their colleagues from the Kyle, Dunvegan and Portree coastguard teams, as attempts were made to locate Mr Lovie. Portree lifeboat launched at 3.51pm to assist in conducting shoreline searches with police and fire service personnel also utilised, alongside representatives from the Search and Rescue Dogs Association. Mr Lovie is described as being 5ft 10 in height, of medium build with brown hair and blue eyes. He was wearing a black jacket, jeans, a black cap, a blue shirt and a red jumper at the time of his last sighting. Inspector Bruce Crawford said: “As time passes, we grow increasingly concerned for Alistair and we know this is a feeling shared in the local community on Raasay. “Alistair has dementia and it is considered possible that he may have become confused while out walking. “He was last seen close to a disused mine north of Inverarish, but he is physically fit and walks regularly, so I would urge people on Raasay to be aware and to report anything at all which may be able to help with tracing him. “I would also urge anyone with a shed or outhouse on their property where Alistair could potentially sought shelter to thoroughly check these and let us know of anything which seems out of place. “We would urge anyone on the roads of Raasay to be vigilant and to review any dashcam footage you may have. Anybody with information is asked to contact police on 101.